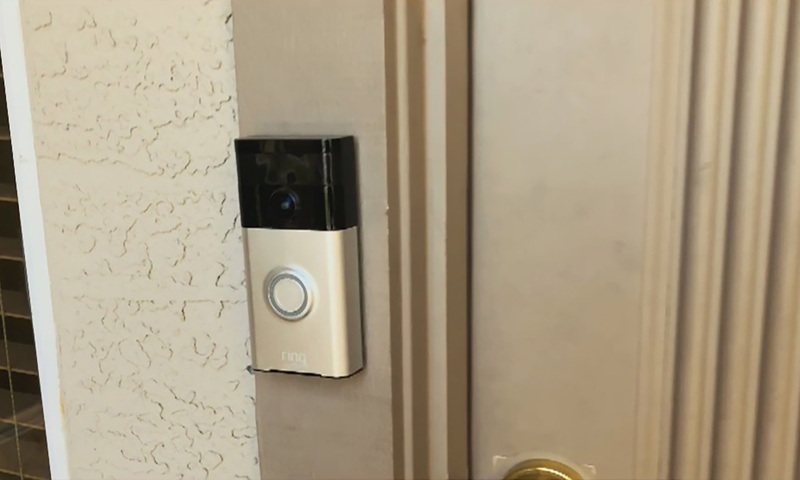 GILBERT, Ariz. (FOX 10) — The Gilbert Police Department is using new technology to fight an old crime, and it involves a Ring doorbell. Without a doubt, many have seen the device advertised, and some may even have one at their home. Now, Gilbert Police is working with neighbors who have the device to fight crime by teaming up with Neighbors by Ring. Their hope is to provide real-time, local crime and safety information. “We believe that we’ll be able to solve a lot more crimes with the help of the community, and this is a direct was for the community to provide information back to us and provide evidence back to us, that they may have that we don’t even know exists,” said Mark Marino with Gilbrt Police. The app is basically a virtual neighborhood watch, where neighbors can share information and videos with each other. In one video, which was shared Tuesday night, an unknown man was seen ringing a doorbell in a Gilbert neighborhood during the early morning hours. Gilbert Police will be monitoring this type of information to help crack down on crime. Anyone sharing information with the department can remain anonymous, and some people in the area are happy about the extra help from police. “I think it’s important because we have children, so weather you do or not it’s a safety hazard, and in this day and age, you have to be cautious of your surroundings and if you’re in bed you can wake up and see something,” said one person. People do not have to have a Ring-style doorbell to download the app, which is available free of charge.